Starboard intake detail. 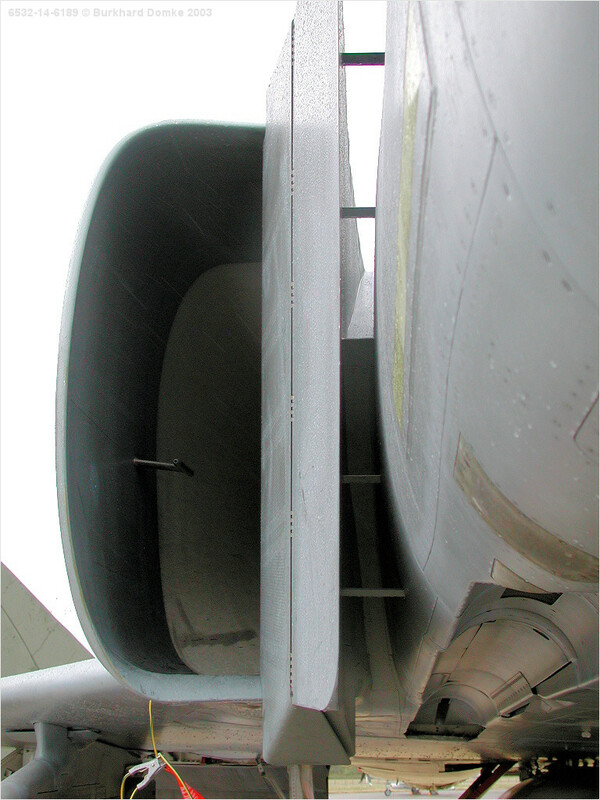 Fixed forward portion of intake ramp is supported by four struts. Note bay for semi-conformal carriage of AIM-120 missiles at lower right.